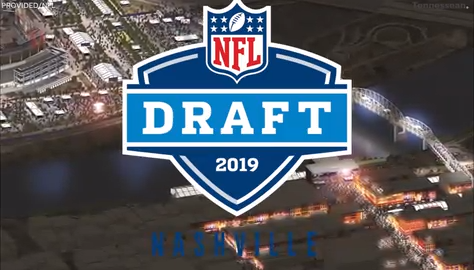 We are now entering the part of the year where college basketball is about over, and since no one really cares about the NBA or MLB, we have just one last order of business before the long summer leading up to football season...the NFL Draft! The draft is one of my favorite things in sports. I live for college football, and this is the one time that all of those hundreds of hours a season watching games and getting to know players for 3-5 years pays off. These guys are heading into the league, and I now have been doing this long enough to actually remember when every NFL player was in college. That definitely makes me feel old, but it also makes me enjoy watching the NFL even more. Read up and enjoy my annual NFL Mock Draft! This has been the talk of the draft ever since Kliff Kingsbury was given the keys to the Arizona Cardinals. Josh Rosen does not fit the profile of his air raid system, so they have to trade him the year after taking him in the first round and draft Murray, who will immediately be the one of most interesting players in the NFL. He is an astonishing athlete and a much better passer than any true dual threat QB entering the draft. 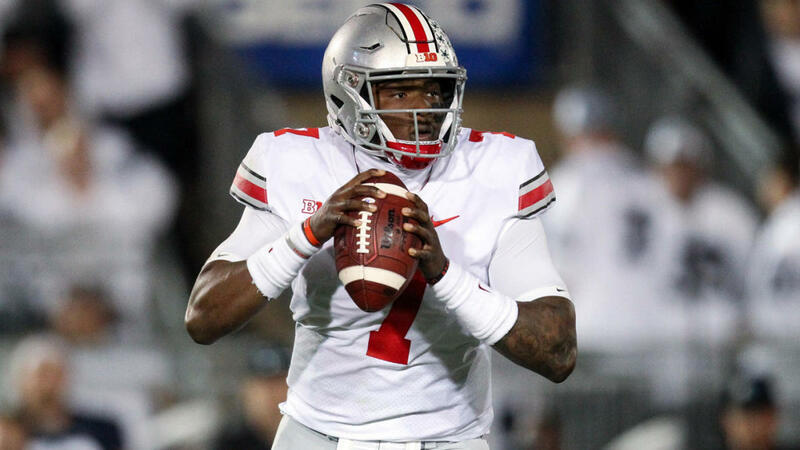 The 49ers are in the strange situation where they have a free roll in the draft. Their QB was hurt all year, and they were pretty horrible. Jimmy Garoppolo will be leading this team going forward, and now they get the #2 pick without needing to fill that position that most teams would need when picking this high. 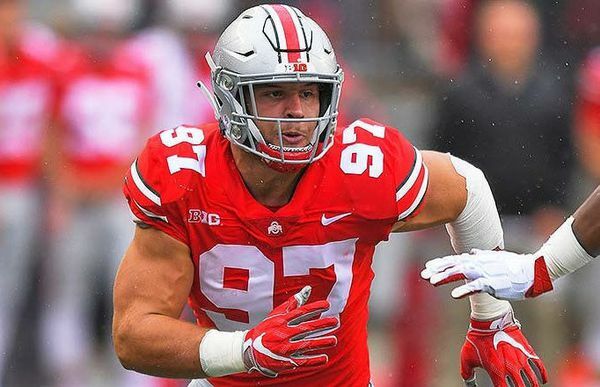 The 49ers are going to take Bosa, who is the best player in the draft. The only red flag is that he sat out basically all of his final season in Columbus, not wanting to test his core muscle that he injured and subsequently had surgery on. This is a predictable pick for the Jets. They are always looking to draft playmakers on defense, and Allen was arguably the best defensive player in college football last season. Going into the year, he was not exactly rated that highly as a potential draft prospect, but he had a monster year and was the main reason why Kentucky actually put up a fight in the SEC East. He will be an immediate impact player in New York. There are plenty of needs for the Raiders, and they have three first round picks to address them. White is one of the safer picks in this class. He has the speed to stick with tight ends, and he is a tackling machine. The Buccaneers will have a new look under Bruce Arians. They have some playmakers on offense, so they will probably start rebuilding that defense first. Gary was one of the top prospects coming into college a few years ago, and he ended up quietly having a pretty good career in Ann Arbor. He impressed in combine workouts and could easily get rewarded with being taken in the top 5. Drafting Eli Manning’s replacement? Replacing OBJ? The Giants are too conservative for that. I think they will make a rock solid pick here, getting their new edge rusher to lead their defense in the coming years and wait for their offensive reinforcements. Sweat is absurdly athletic for his size, and he had an insanely productive year in 2018. After getting Nick Foles in the offseason, the Jaguars now think they have their guy and solved their problem. Next step is to get him some protection and give Leonard Fournette some quality run blocking. Taylor is a monster lineman and will be a great pick for Jacksonville. The Lions have a lot of needs, but Matt Patricia is desperate to recreate the Patriot system. With Gronk now retired, he can no longer try to trade for him. Look for the Lions to take the best tight end in the class, one who is an expert route runner and can block. This will be a little bizarre since most feel Hockenson’s teammate Noah Fant is the better pro prospect, but this just feels too obvious for the Lions to pass up. I am not projecting trades, but maybe I should. There’s no way that Williams drops this far, but we’ll go with it. The Bills do need to give Josh Allen some weapons on offense, but they take the best player on the board and wait for the skill positions. Williams was the rock on Alabama’s defense and will be for Sean McDermott’s group in Buffalo. 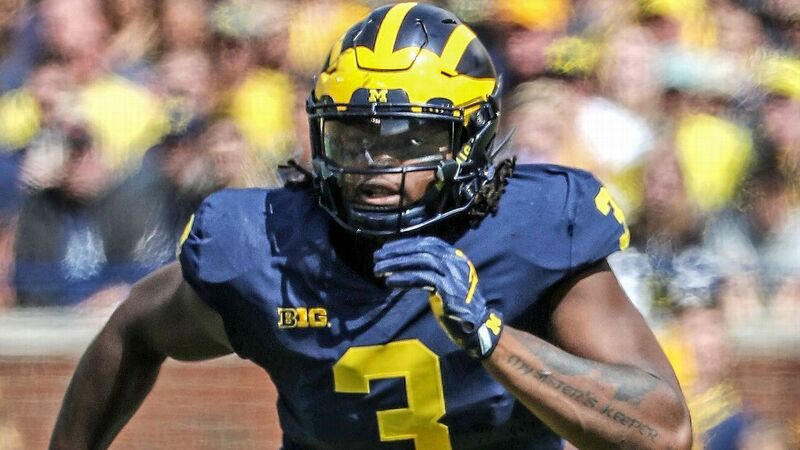 He had one of the top 40-yard dash times at the combine, and he had an incredible year for Michigan. The Broncos seemingly got their solution at quarterback by getting Joe Flacco, and they will need to get him some help at receiver, but Elway is stubborn and will continue to spend resources on defense, when that is not what they need at this point. I would normally go out of my way to find the guy in the draft with the most character questions and arrests for the Bengals, but there is actually a new regime there…finally. I don’t think that Zac Taylor is going to kick the tires for too long on Andy Dalton, so the Bengals go with the record breaking in-state prospect to be his eventual replacement. The Packers moved on from Mike McCarthy, so the first thing to get on their arrogant QB’s good side is to get him some stability on that offensive line. Dillard is one of the most solid linemen in the class, particularly as a pass blocker coming from the air raid system in Pullman. The Falcons need help in a lot of areas. Oliver is one of the five most talented players in the draft, but concerns over his size and late season issues with his head coach are bringing him down the draft board a bit. 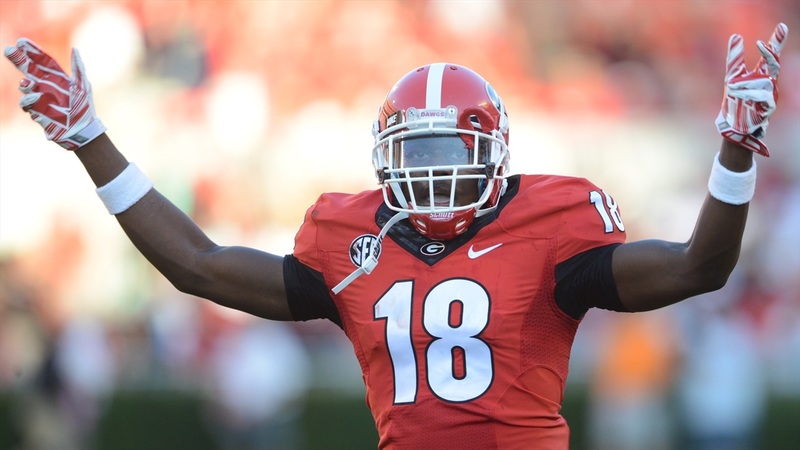 This will be an excellent pick for Atlanta, and it will be the start of the reload for Dan Quinn’s defense. The Redskins are in a difficult spot. They don’t have the resources to trade up in the draft again to take a quarterback, and their guy Alex Smith is coming off a gruesome injury. Case Keenum is just a band-aid at this point. They could go with a flier on Daniel Jones or Drew Lock, but I think they will go more for pass protection and run blocking for Adrian Peterson and company. The Panthers need to repair their offensive line. 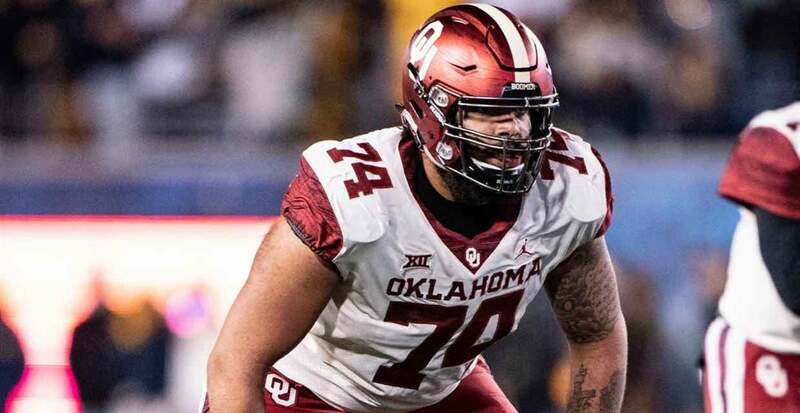 All of the linemen from Oklahoma are versatile given the diverse looks that they gave defenses over the past few years. Ford will be a player that can open holes in the running game and can pull and pass block as well. Carolina needs help on the defensive line as well, but giving Cam Newton longevity is the bigger issue for the organization. 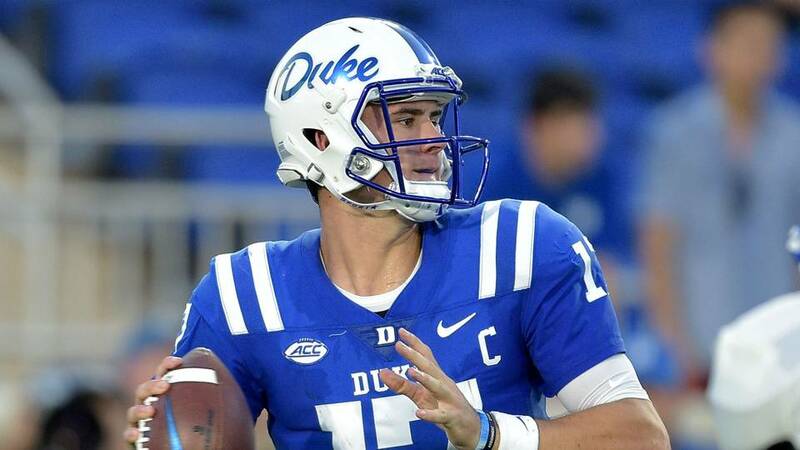 The connection is there with Jones being coached by Manning family mentor David Cutcliffe, plus this pick is not going to cripple the organization if it misses. The Giants have other holes, but they need to find a realistic successor to Eli at some point. 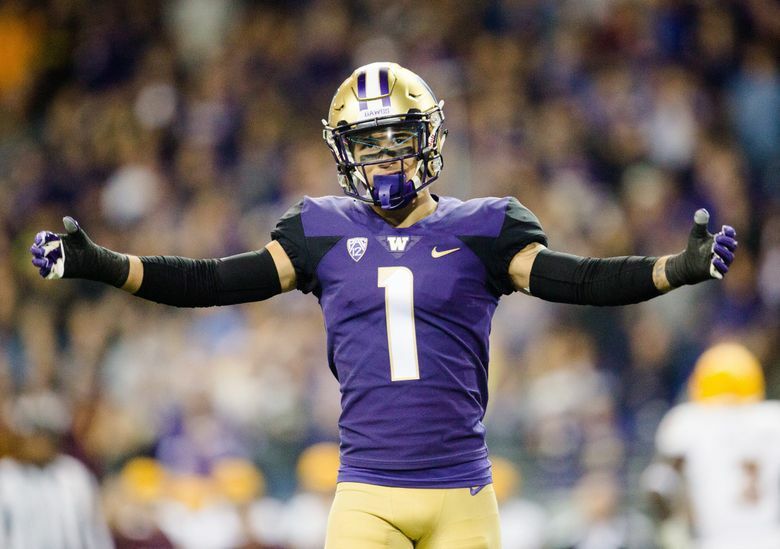 Jones has a pro-style game, and unless we hear about a trade for Josh Rosen at some time in the near future, then this is the next in line of guys that looks like a Giants QB. The Vikings want to be able to run the ball and protect their highly paid QB as well. 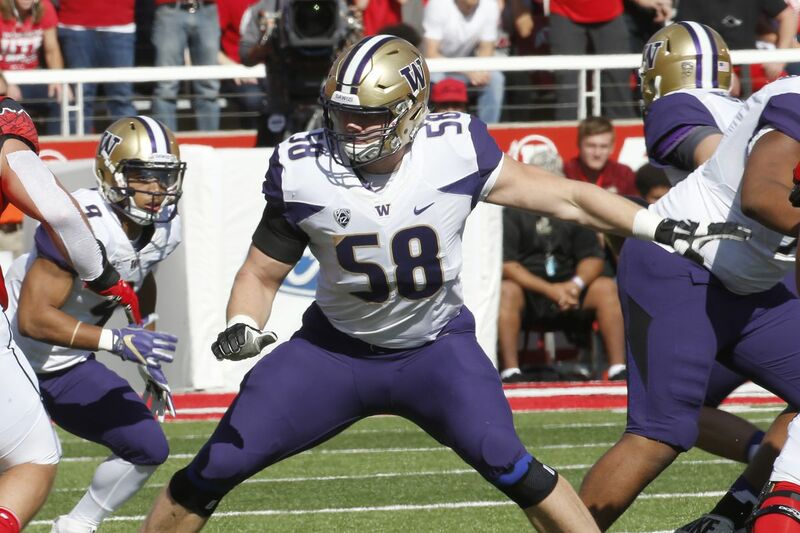 McGary made a career at Washington as one of the top pass and run blockers in the conference, and he will fit nicely into the culture in Minnesota. In a perfect world, they would trade down a handful of slots before picking him, but the purposes of not getting too abstract, this works. At times, the Titans offense looks absolutely dreadful. 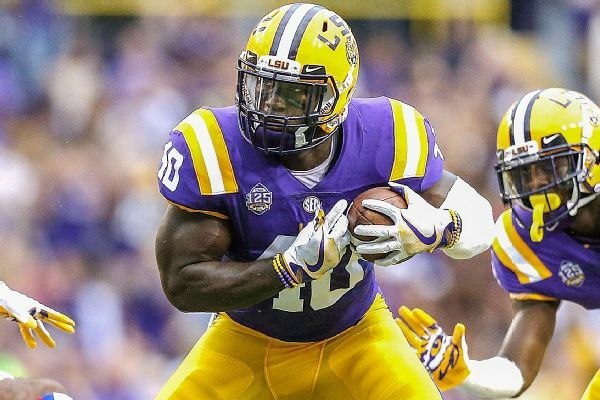 They need to start investing in some more weapons, and after the insane combine that Metcalf had, this should be an easy choice for the organization. Receivers are usually overvalued in the draft process, so a team might take him before here, but this would be a steal if it works out like this. I don’t believe that they will reach for a receiver to replace Antonio Brown just yet. They still have a bunch of weapons for Big Ben. 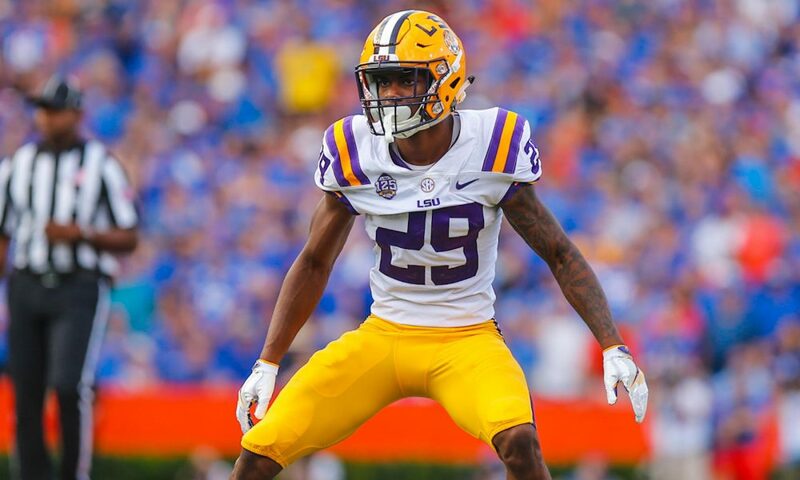 Murphy is the most natural cover corner in the draft. Being in the same division as the Browns, they will need several DBs who can cover and also be able to tackle in space. Murphy is a logical pick here. The Seahawks have to fill the hole vacated by the departure of Earl Thomas in free agency. The organization loves to take players from smaller schools, and Adderley has the playmaking ability in the secondary to be an immediate impact player. I imagine they will trade down, though, seeing as they only have 4 picks in the draft. He has absolutely electric speed. This is the type of player that will be needed for the Lamar Jackson run game experiment to actually work. They will need receivers that are willing to block, but you also need a player that can keep the defense honest and burn everyone downfield. In this draft, that player is clearly “Hollywood” Brown. 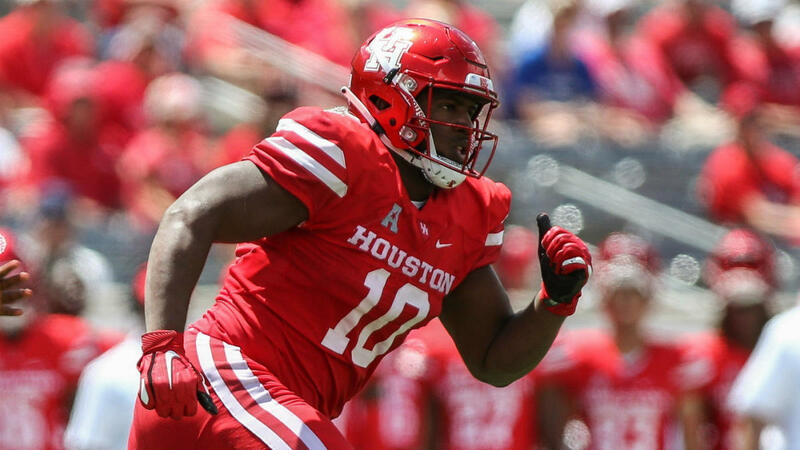 The Wildcats have produced some really good offensive linemen in recent years, and that is the position that is most needed for the Texans. Deshaun Watson can’t do everything himself all the time, so Risner will come in from a spread attack system and stop some of the bleeding. The Raiders need to find someone who can try to fill the position that Khalil Mack had dominated. Burns will not be close to his level, but the positional fit and size are there. I suspect they may trade up for one of the more highly rated edge rushers, however. I had a tough time picking between Wilkins and his teammate Dexter Lawrence, but I went with the more consistent of the two. The Colts are set at linebacker, but they need run stoppers in the middle. Wilkins can also get pressures from the interior. They also need receiver help, but the depth at receiver in this draft will become evident in day two. If the Raiders screw up this first round, then Vegas might just reject them. This will be the third pick defensively for Jon Gruden, and it should pretty much shore up all three levels of that unit. Williams was a great player at LSU. Even when the team was struggling, he was locking down the best receiver of the opposition. The Chargers need secondary and offensive line help. 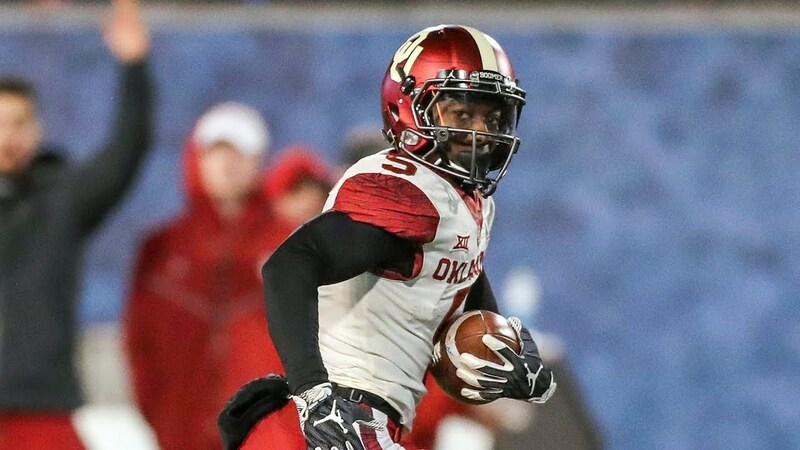 Baker is one of the best corners in the draft, and while this may not be an exciting pick for a team that is so close to being the best team in the NFL, it will be a smart pick. They need someone who can attempt to cover the Kansas City offensive machine. This would be a classic Andy Reid pick. The team needs a flashy edge rusher, and they got rid of Kareem Hunt (who somehow only got an 8 game suspension), so they address one of those needs so they can take out the Patriots, right? No, they take a center. Bradbury is actually excellent value at this spot. I can’t believe I still had Fant on the board. The Packers are going to need to get Rodgers a go-to target, and while WR would be an easier way to do that, giving Jimmy Graham a partner in crime will be a nice touch. Fant is the most athletic tight end in the draft, and his game fits the NFL system way more than it did in college. Aaron Donald is going to need another guy next to him with Ndamukong Suh leaving town. Lawrence is the type of player that might not jump off the tape, but he can swallow up blocks and prevent double teams on Donald. 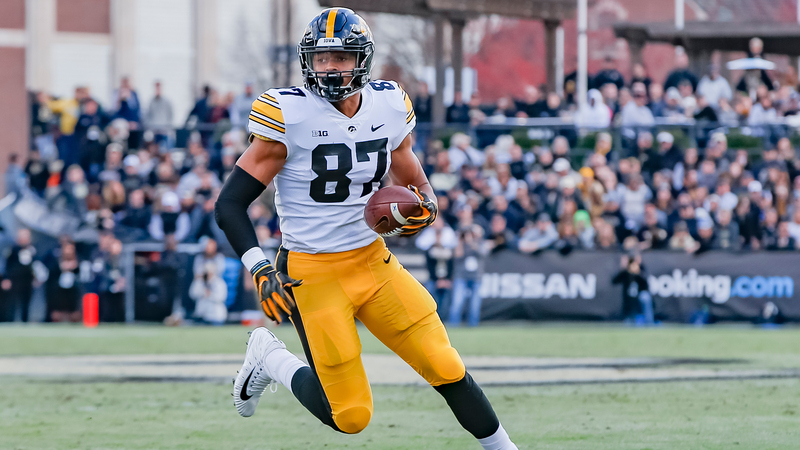 The Patriots would love to get one of the Iowa tight ends, but unless they trade up, I don’t see any way that happens. They probably need help at defensive end, but they could also use another playmaker on offense. Harry was a monster at ASU, and he will be in New England as well. Keeping weapons at Brady’s disposal will ensure his production doesn’t dip and he stays happy. So there you have it! What are your thoughts? What do you think your favorite team will do in this draft? Let me know in the comments! Well, we are a series into the 2019 season, and I am still a few teams away from finishing this pre-season project. So I am going to bust out my last few in shortened format in one article. Bold Prediction: Miles Mikolas will finish in the top 5 in NL Cy Young voting. 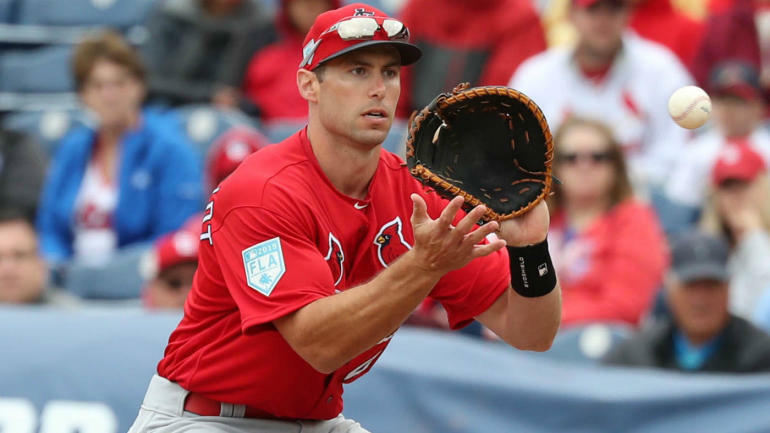 Of all the major splashes this offseason, the most underrated might be the move that landed the Cardinals the most underrated player of the last decade. Paul Goldschmidt gives the Cards a presence in their clubhouse that puts them back in the elite. St. Louis never feels like a trendy pick in the NL Central, but I think they surprise and steal it. Ozuna was their big acquisition last year, and he needs to produce. 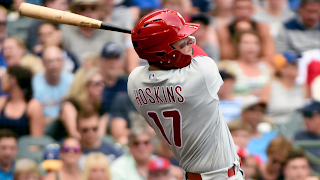 Flaherty and Hudson are some young guns in their rotation that should break out in 2019. I see them getting a step away from the pennant before someone finally knocks them out. Bold Prediction: Gerrit Cole wins the AL Cy Young. I wanted to say the Astros regress in 2019 and maybe even miss the playoffs, but they are just too talented. Their lineup is stacked, even getting better with All Star Michael Brantley joining the outfield. One of their keys this year is if Carlos Correa can stay healthy. Their stud shortstop spent a lot of last year injured and is starting this year on the IL as well. His success will help lead to greater success for the team. Everyone knows the top of their rotation, but their depth took a hit this offseason when they didn't re-sign Dallas Keuchel and Charlie Morton, and Lance McCullers went down with Tommy John. Collin McHugh spent last season in the bullpen because the rotation was out of room. Now he is going to be counted on to be an innings eater in the back end of their rotation. If some of their starters fail, look for Forrest Whitley to burst onto the scene and show why he is a top 10 prospect in all of baseball. Bold Prediction: Brian Roberts will be fired after the season. This is a fascinating team to me. 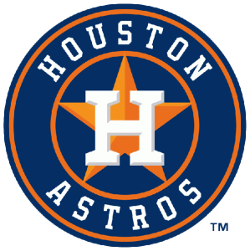 It is so hard to make three straight World Series, but I think they have to enter the season as the favorites to do it. 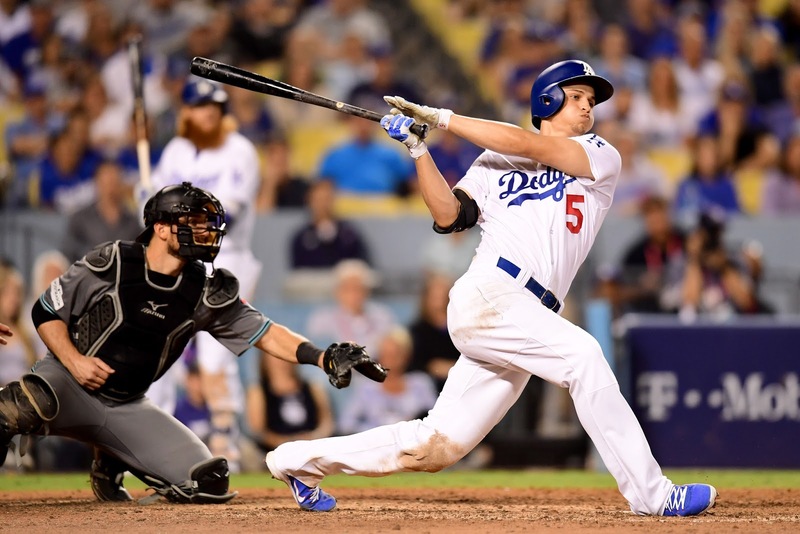 The health and production of Corey Seager will be key. He is a backbone of their offense, and after missing all of 2018 with Tommy John surgery, it will be interesting to see if he can get back to being the budding superstar. 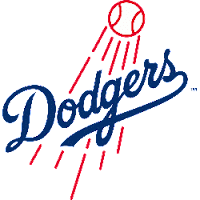 There are a lot of question marks surrounding the rotation, especially the health of ace Clayton Kershaw. However, without Kenley Jansen closing every important game, the starters don't matter. His health scare from the offseason that required heart surgery has some questioning his health moving forward. If he can be as dominant as he has been the last several years, they will have nothing to worry about. Alex Verdugo has been on the verge of breaking out for a few years, but has been blocked by a loaded outfield. Either he gets his opportunity or is traded for a starting pitcher mid-season. Fearless Prediction: James Paxton finishes in the top 3 of the AL Cy Young voting. 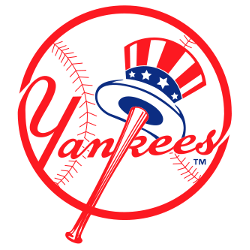 To me, the New York Yankees are the most talented and best team in the league. They have young phenoms combined with star veterans in their lineup, they have a deep and talented starting rotation (which is being tested at the start of the season with injuries), and they have the deepest and strongest bullpen in the league. Look for Giancarlo Stanton to return to his form that led to an NL MVP. Look for James Paxton to become a superstar. As one of the sneaky best acquisitions of the season, look for Paxton to quickly become a superstar if he can have a healthy season. They are the team best built for playoff success in 2019 and be the 3rd different team to defeat the Dodgers in the World Series in the last 3 seasons. 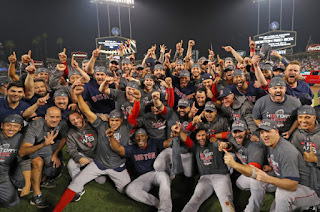 The Boston Red Sox went all the way in 2018, winning the World Series. No one has repeated as champions in almost 20 years. 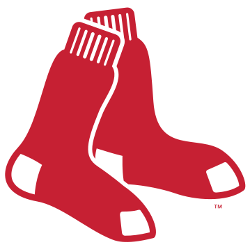 Will the Red Sox end that streak? J.D. Martinez will be the only Red Sox hitter over 20 home runs. The Red Sox ended up having a historic season, winning more games than any Red Sox team ever on their way to a World Series title. Mookie Betts won the MVP, with J.D. Martinez being a top candidate as well. 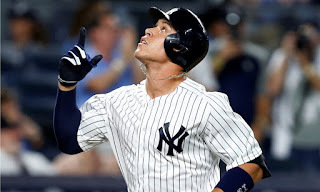 I took a stab that the Red Sox would continue to struggle getting the ball out of the park, but Betts, Xander Bogaerts, and Rafael Devers all topped 20 home runs as well. Everything went right for the Sox in 2018. The Red Sox are bringing back almost the exact same roster as last season with one glaring subtraction. 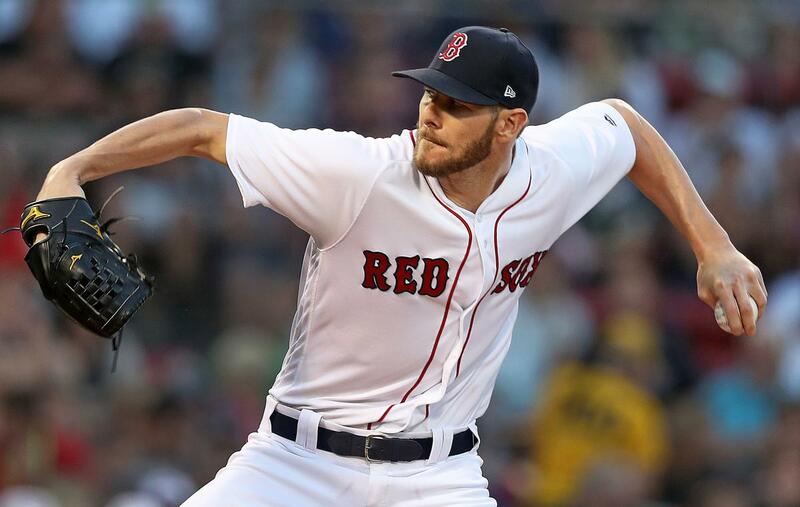 They made sure to bring back World Series hero Nathan Eovaldi and signed Chris Sale to a big extension to keep their roster in tact. 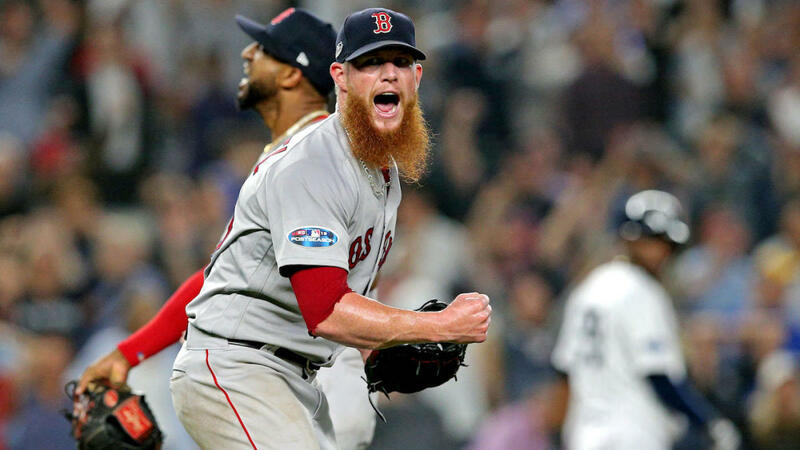 The big subtraction is closer Craig Kimbrel, who may have struggled some in the postseason but is still one of the most dominant closers in all of baseball. He will be replaced internally. The Red Sox do not really have a hole in their lineup. With that said, if there is one weakness it is the they are somewhat lacking on the left side. Andrew Benintendi can fix that. After a huge debut in 34 games in 2016, he shot up to one of the top prospects in baseball. 2017 was not as impressive as 2016, but 2018 was definitely a step in the right direction. He is only entering his age 24 season, and a breakout season into the superstar he can be can really balance out the Red Sox lineup and make them even more dangerous. I am going with two pitchers in this spot because these two former setup men are being tasked with the extremely difficult job of replacing Craig Kimbrel's production in the 9th inning. 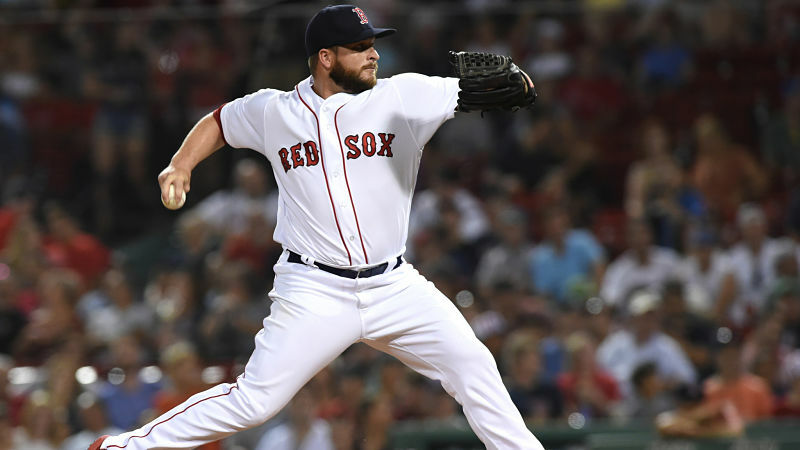 The Red Sox have a super deep bullpen, but for them to absorb Kimbrel's absence, either Barnes or Brasier (or both) have to step up big and be an All Star caliber closer. 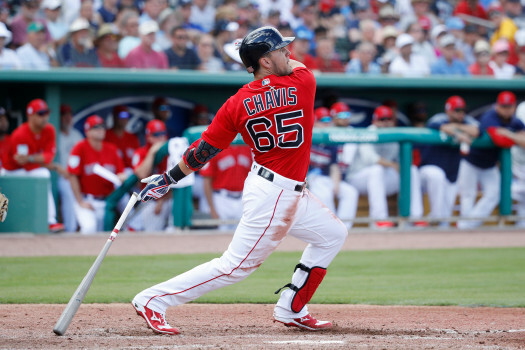 Michael Chavis is the best prospect in Boston's farm system. This 23 year old third baseman might have some trouble breaking into the big club with the amount of talent in Boston's infield. 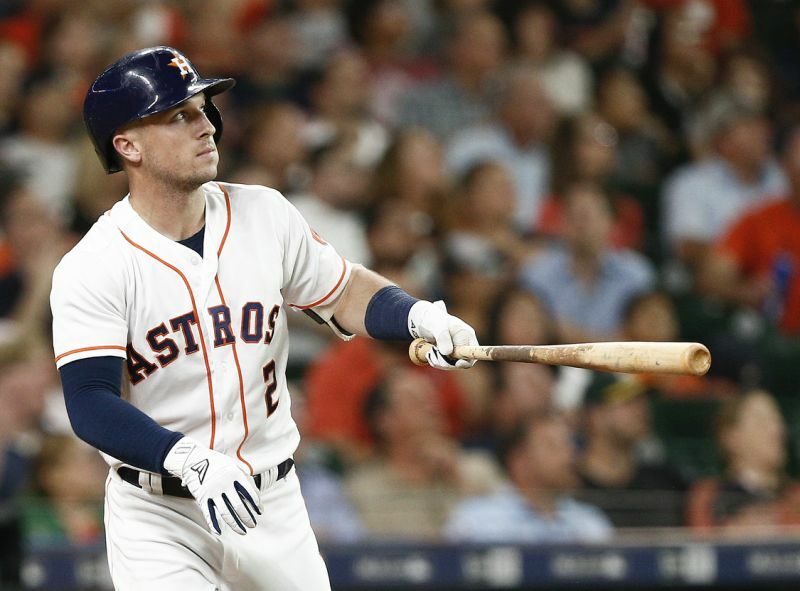 There are two ways he can affect the Red Sox this season. Either he comes up and mans second base with Dustin Pedroia continuing to struggle to get healthy or they trade him for a top end closer. The Red Sox are the second best team in the American League. The problem is the best team in the league might be in their own division. This leaves them in the Wild Card Game. If they win this, they will get the best record in the divisional round (which will be from their division). It is extremely hard to repeat a championship in baseball. They will come up short this season, even though they might win 100 games again. This will be Dustin Pedroia's last season. 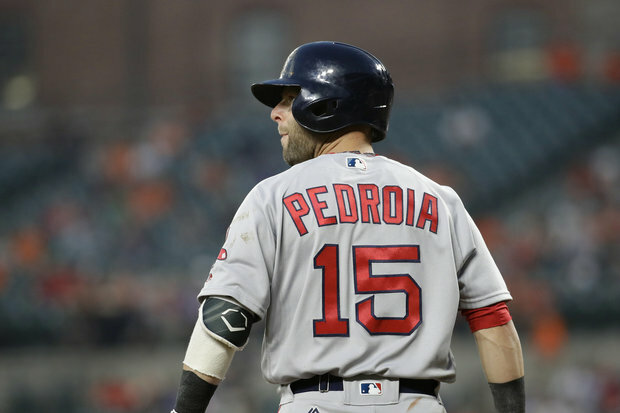 Dustin Pedroia is a Red Sox legend, but he has been plagued by injuries throughout his career. The last two seasons have been shortened for him, including only a 3 game season in 2018. He says to be healthy for 2019, but he is entering his age 35 season. I don't know if he has anything left in the tank. I don't think Pedroia will hold on very long if he can't produce anymore. If he can't be healthy again, it could be a career for the former MVP. The Philadelphia Phillies followed up a surprisingly strong 2018 season by winning the Bryce Harper sweepstakes this offseason. Will all their moves lead to another step forward in 2019? This will be Gabe Kapler's only season as Phillies manager. I had the Phillies mostly predicted where they ended up, but finishing in 3rd doesn't tell the whole story of their season. They were competing for the division title most of the season only to fall away down the stretch. 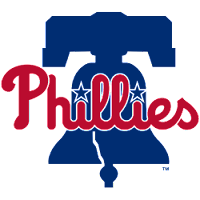 Their record ended up uner .500, but most of the season the talk of the NL East was the Phillies and Braves as the upstart surprises at the top of the division. Gabe Kapler's early criticism quickly died off as the team found success. Ownership for the Phillies made news early in the offseason claiming they were willing to spend "crazy money" over the offseason. It took awhile, but crazy money they spent when they brought in Bryce Harper on a 13 year contract. However, that was not the only move they made. They also traded for what many consider the best catcher in baseball in J.T. Realmuto. They have a new shortstop in Jean Segura, acquired in a trade with Seattle. They solidified the back of their bullpen by bringing in David Robertson and rounded out their outfield by signing Andrew McCutchen. They definitely spent some stupid money and made the most of it. He is the one that got all the money. He is the one that everyone is watching. He is their most important hitter. This lineup is loaded, but it really only works if Harper produces in the middle of the lineup. Not only is he the biggest name, but he is one of the only left-handed bats in the order. Harper got this money hoping he jumps back up to his MVP level. 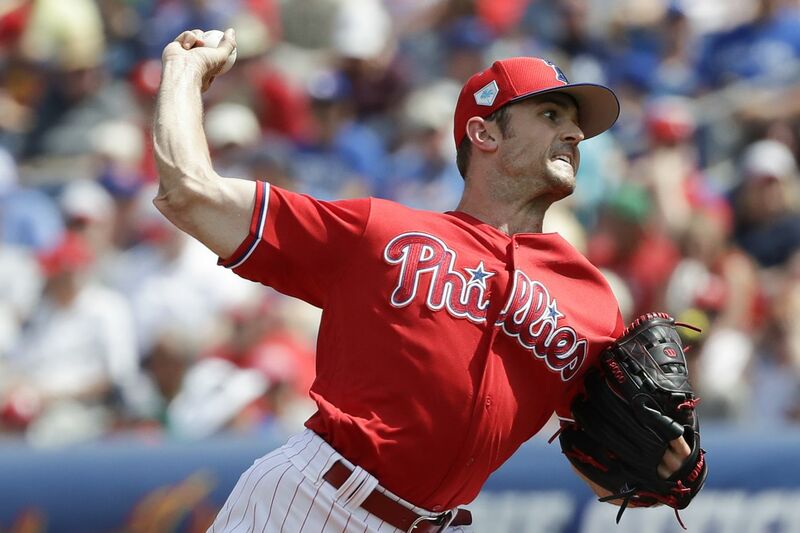 The main reason the Phillies started to fall apart down the stretch was a lack of a bullpen. They couldn't finish a game. David Robertson has been brought in to fix that. He has been a closer, but he has also been a utility arm in the bullpen, pitching wherever he is needed. He will be counted on this season to be the difference maker. 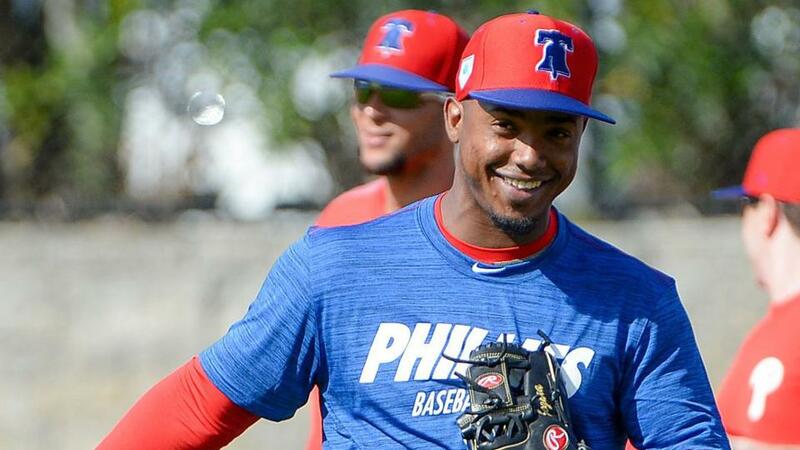 One of the Phillies top prospects is 22 year old right-handed pitcher Adonis Medina. 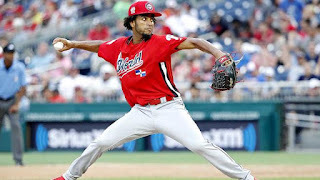 Last season, he pitched exclusively in A ball and will start this season in AA, but if the Phillies are in the playoff hunt down the stretch, look for Medina to get a shot in the big leagues to be a spark plug in their bullpen with a shot at making their rotation in 2020. 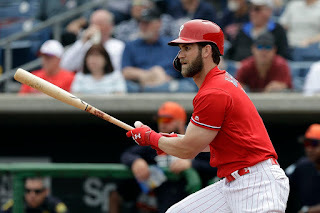 The NL East is going to be super competitive this season, and I see the Phillies being the team to emerge from the group. Their lineup is just too loaded, and the top of their rotation is elite. They are going to be hard to beat. 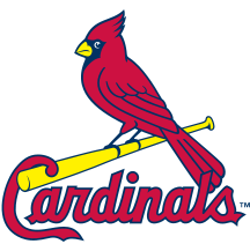 There is an argument that they are the most talented team now in the National League. I am tempted to pick them to go all the way to the World Series, but these super teams never go all the way in year one. They might be my 2020 World Series pick though. 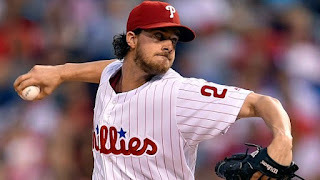 Aaron Nola will win the 2019 NL Cy Young. I am a huge fan of Aaron Nola. He basically came out of nowhere last year to have a huge season. Everyone talks about Jacob deGrom and Max Scherzer, but you might forget that Nola finished 3rd in the Cy Young race last season. I see Nola being energized by their revamped offense to be even better and bring home the trophy in 2019.